RENTON, Wash. — After two days of overwhelming reaction to his postgame comments, Seattle Seahawks cornerback Richard Sherman said he’s surprised his interview after the NFC championship game became the focus. 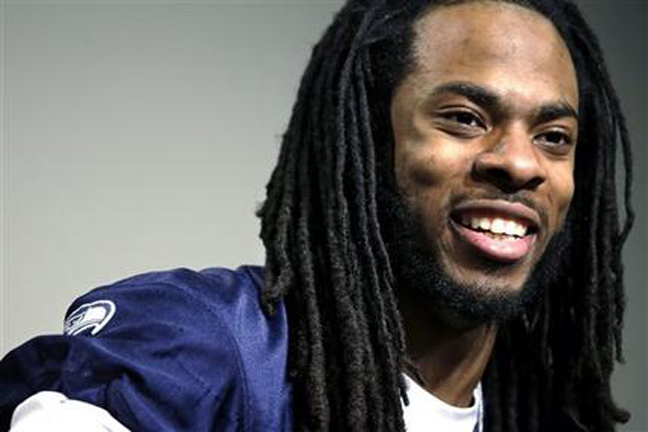 Sherman spoke Wednesday for the first time since the Seahawks clinched a Super Bowl berth by beating San Francisco 23-17. Sherman again apologized for his shouting, emotional postgame interview that took attention away from the performances of his teammates. Sherman was the subject of criticism and support following his postgame rant that came just a few minutes after he deflected a pass intended for San Francisco's Michael Crabtree and that was intercepted by teammate Malcolm Smith in the end zone to clinch the win.